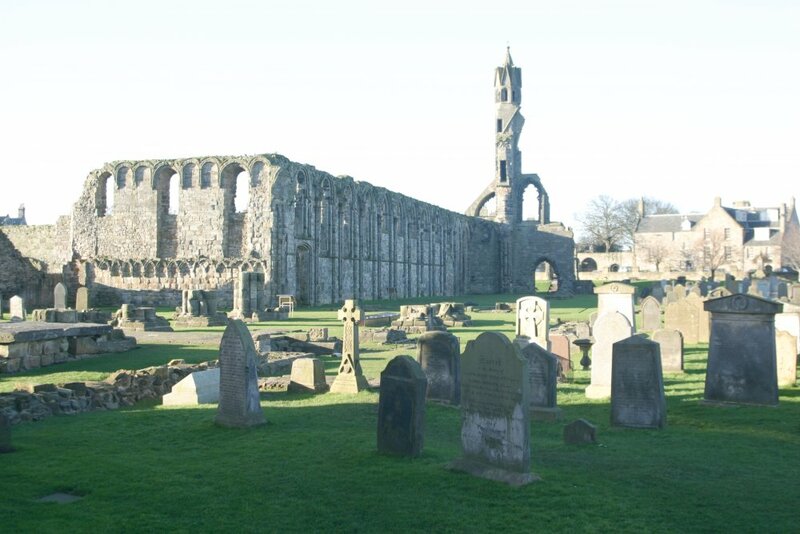 We will be working and studying at the University of St. Andrews. 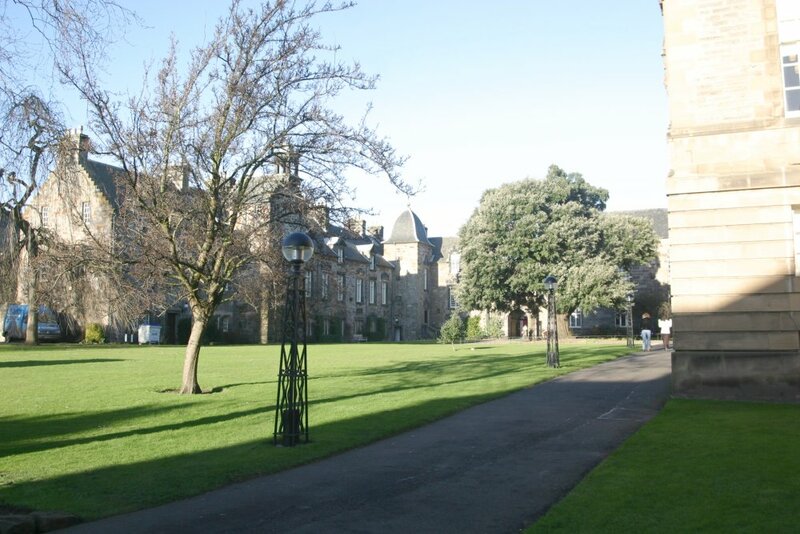 The University is the oldest in Scotland, founded in 1410. 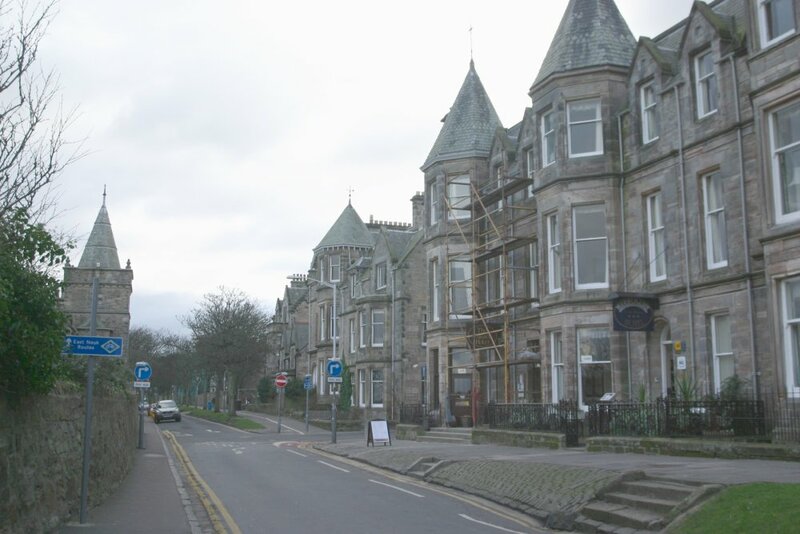 The town is full of great old architecture, narrow pedestrian streets, and lovely views of the North Sea. 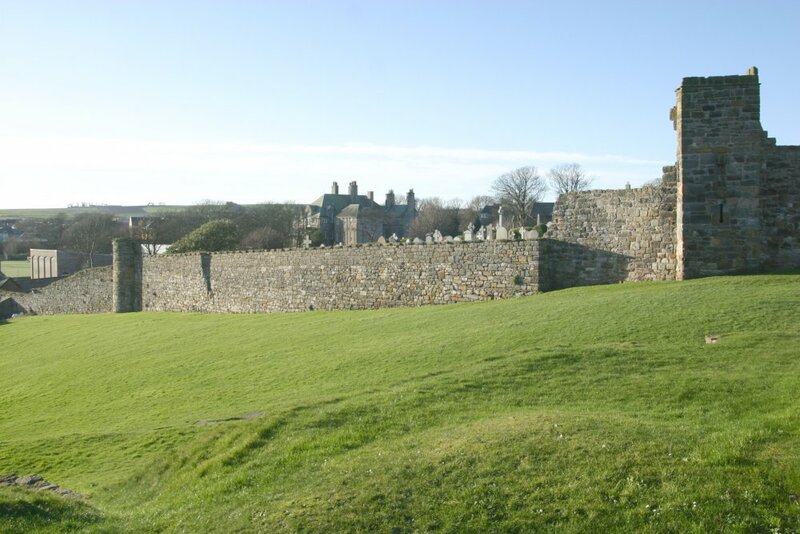 It is also steeped in history, making it a great place to work on a history Ph.D. The Universtiy has a great reputation for both teaching and research. We both enjoyed meeting the people of our respective departments and we look forward to fruitful years of work there. Click on the images for larger versions (approx 100kb each). 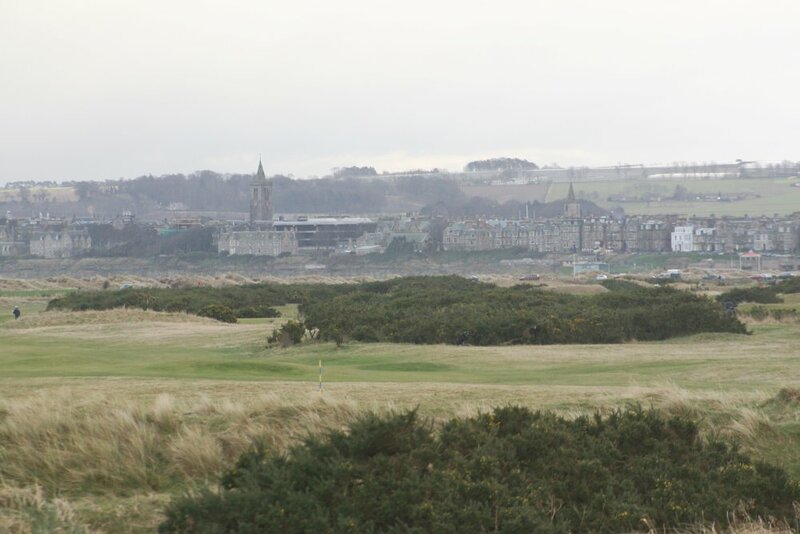 A view of the town of St. Andrews looking from the famous golf course. 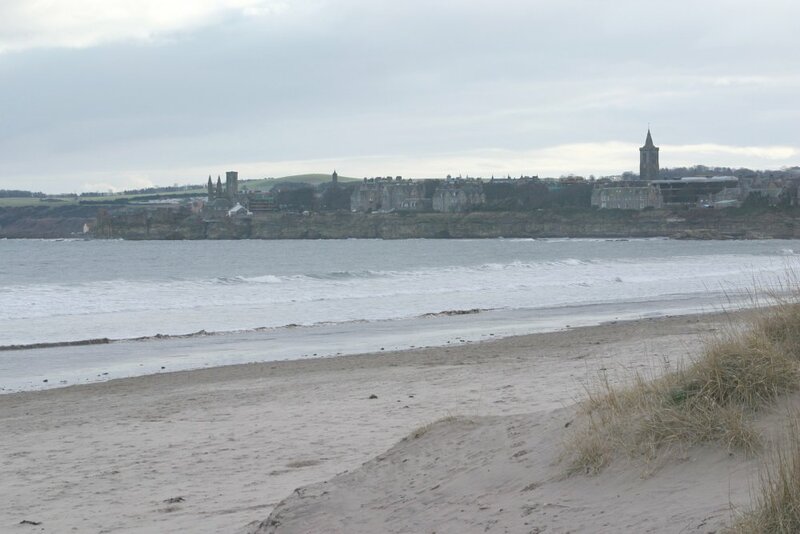 A view of town from the West Sands beach. 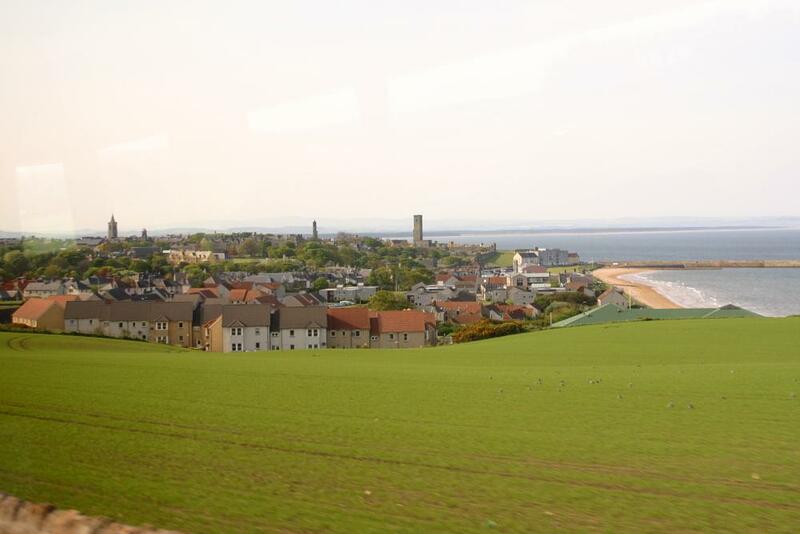 View of St. Andrews from the bus coming in from Anstruther. 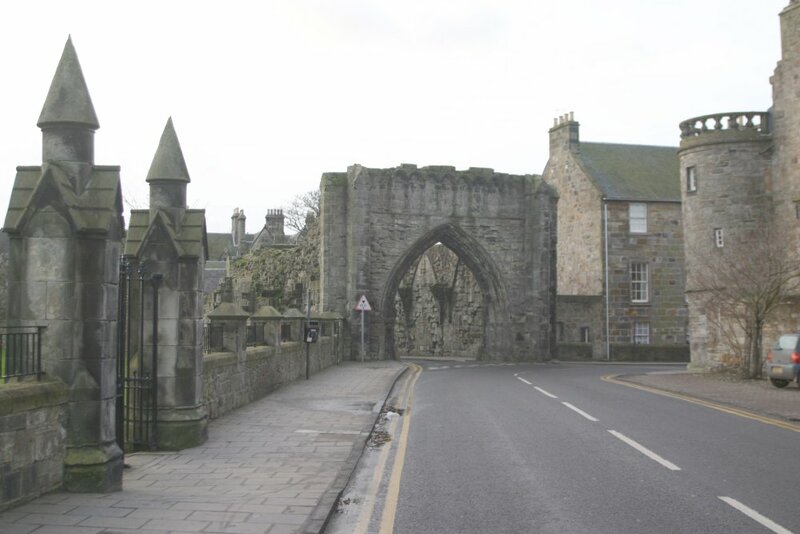 The remnats of St. Andrews cathedral. 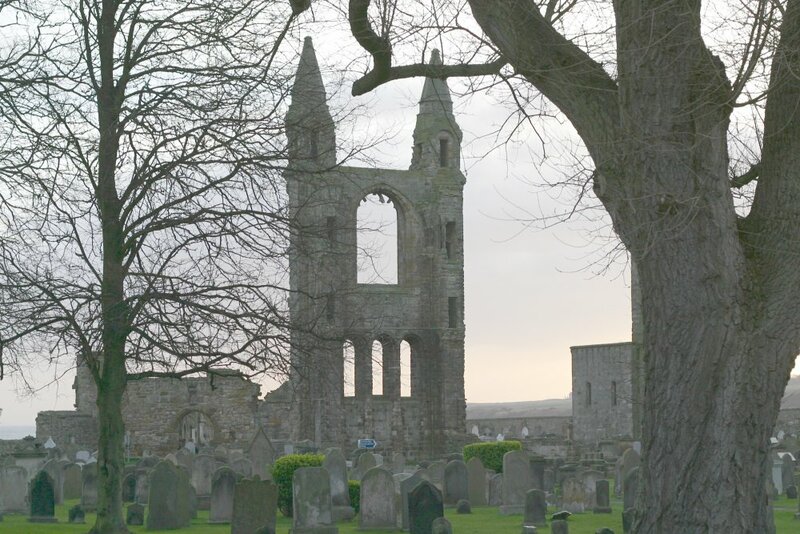 Once it was the center of the church in Scotland, but it fell into ruin after the Reformation. The cemetary on the cathedral grounds. 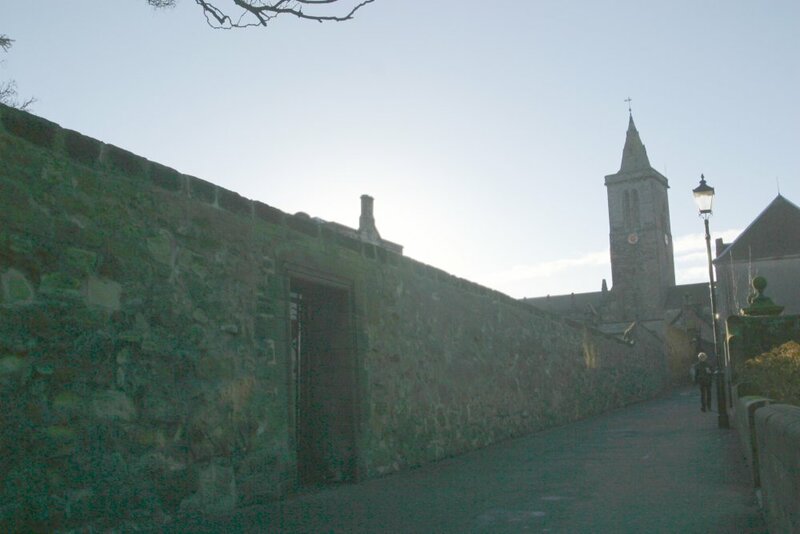 Medieval wall surrounding the cathedral and monastary grounds. 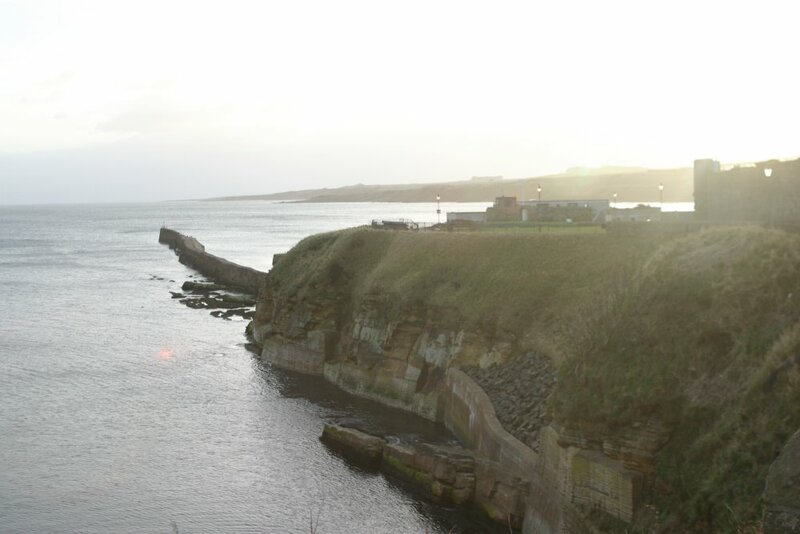 Sea cliffs along the edge of town, leading down to the harbour breakwater. 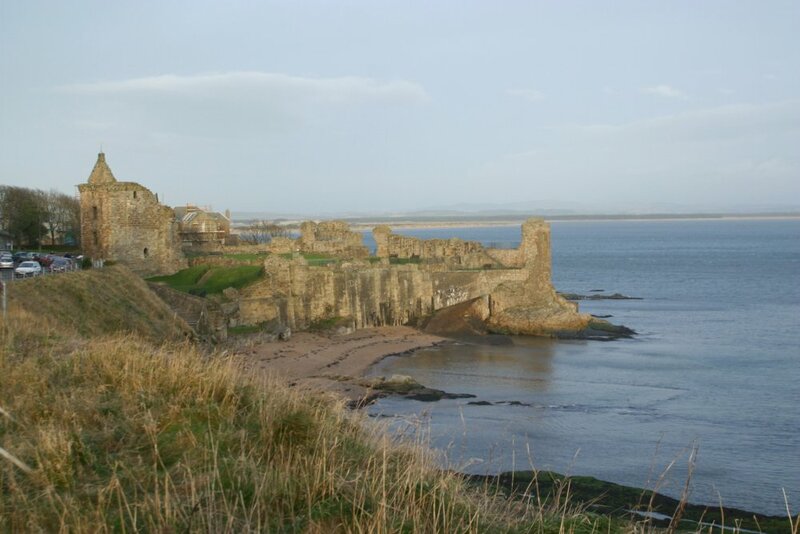 The castle in St. Andrews juts into the sea from the center of town. 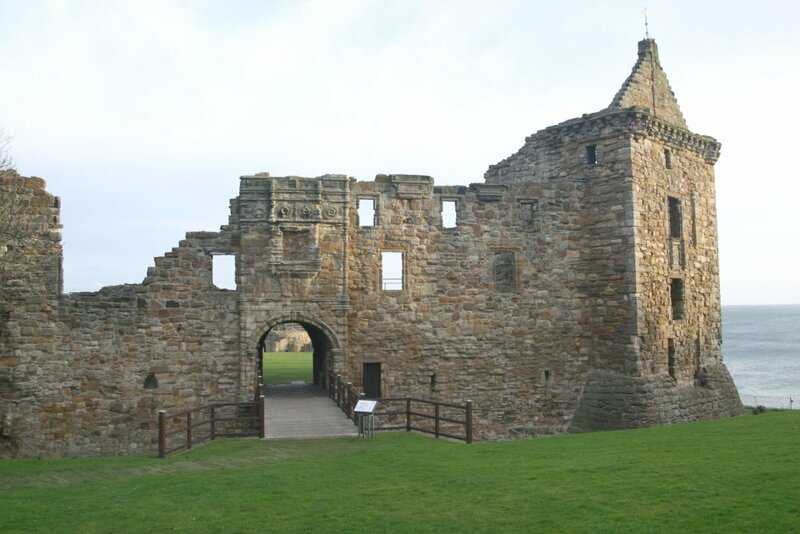 The castle was the site of several sieges during the time of the Reformation (16th century). St. Mary's quad at the University. The biology department, where Anne will work, looks out onto this quad. 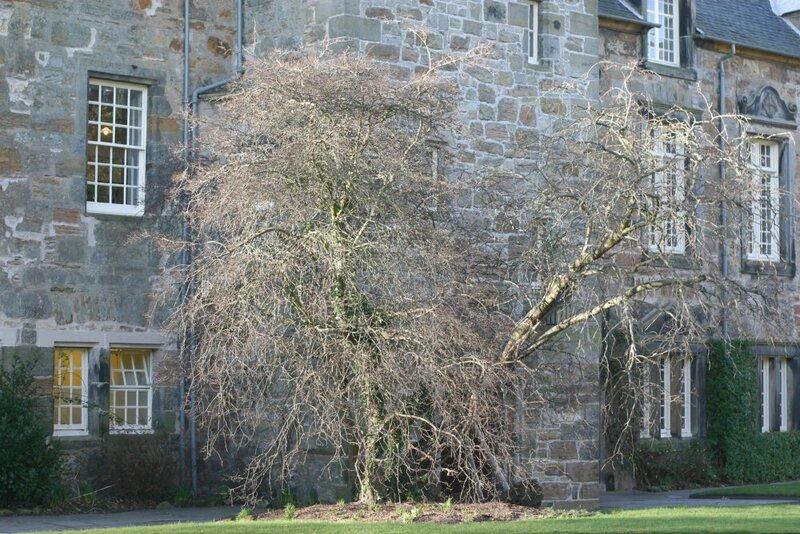 The Thorn Tree, in St. Mary's quad, reportedly planted by Mary Queen of Scots. 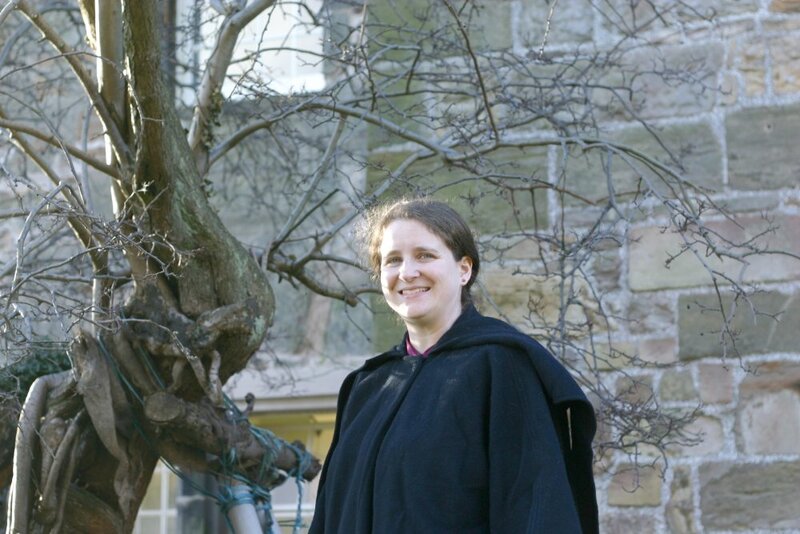 Anne at the Thorn Tree. Medieval buildings of the University. The Scores - the street along the top of the sea cliffs. The History department where David will study is a little further down this street. The Pends - gate to the old monastary. 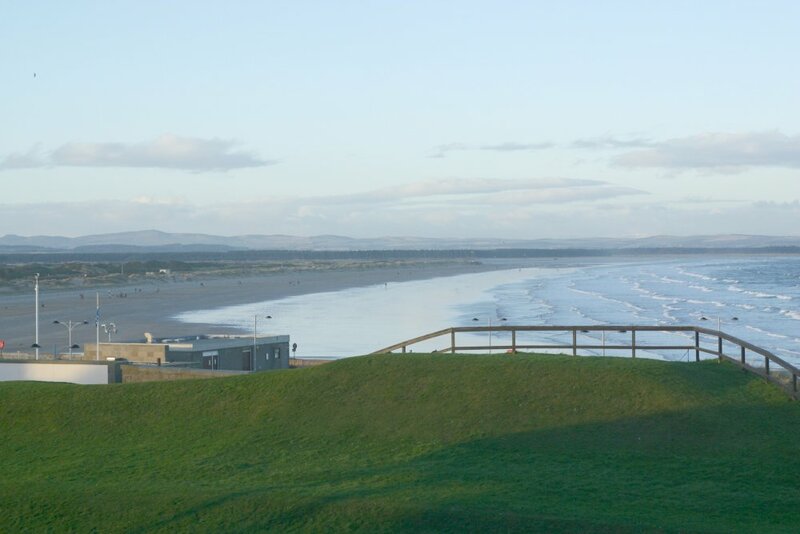 The Butts where the townsfolk practiced archery, and the West Sands beach. 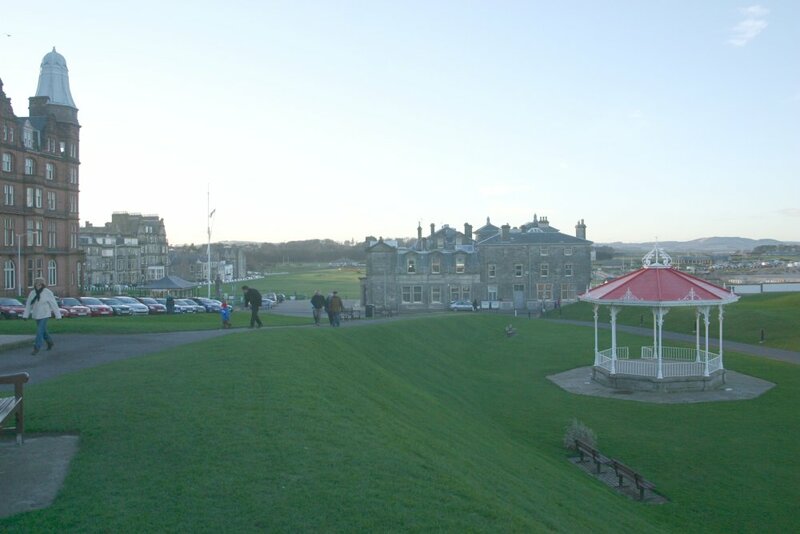 A gazebo at the Archery Butts and the golf clubhouse. 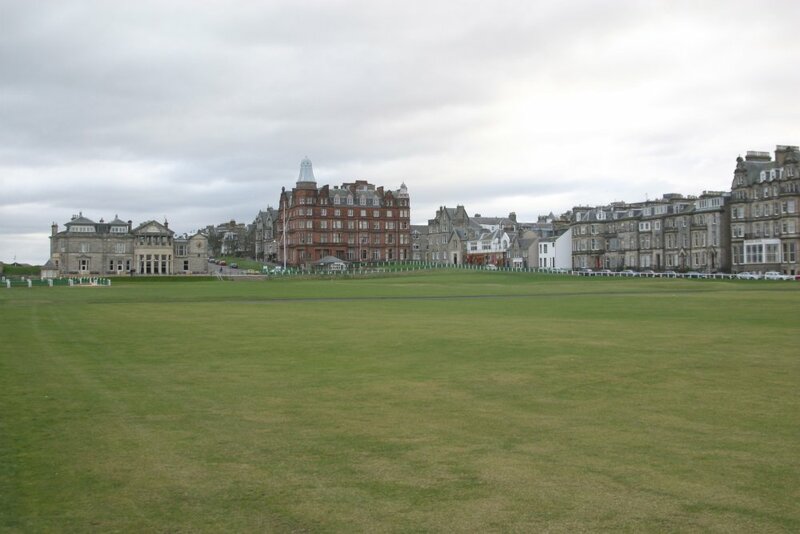 The Royal and Ancient Clubhouse and the Old Course - the birthplace of golf.